Administrator and author of Biking Bis. Currently live in the Seattle area; previously Texas, California, Maryland, Georgia and Ohio. Own a Lemond road bike for light riding and Rockhopper for poor weather riding and touring. That’s a fine theme for the 2012 National Bicycle Summit, as expressed at right in a League promo from September. Corporate sponsorships of biking and hiking trails may soon be a sign of the times in Florida. The weak economy coupled with the reluctance to raise taxes to pay for public services has prompted Florida legislators to approve corporate sponsorships for trails in the sunshine state. The bill — SB 268 — is sitting on the desk of Florida Gov. Rick Scott. Those of you who responded to the call from bicycle advocates to contact your US senators to support federal funding for bicycle programs should be pleased to know your efforts have paid off. The Senate approved a two-year $109 billion Transportation bill today that, among other things, includes an “Additional Activities” fund that local governments can use for such local projects as bike lanes and trails. The original version of the bill — MAP-21 — didn’t include any language that enabled local governments to access that fund. It would have been controlled at the state level. US cyclist Chris Horner’s second place finish at the week-long Tirreno-Adriatico on Tuesday must be difficult to swallow, even after his remarkable comeback from a career-threatening crash at last year’s Tour de France. The 40-year-old RadioShack cyclist, who lives in Bend, Oregon, lost the overall lead and the championship to Italy’s Vincenzo Nibali in the final 6-mile individual time trial at San Benedetto del Tronto. 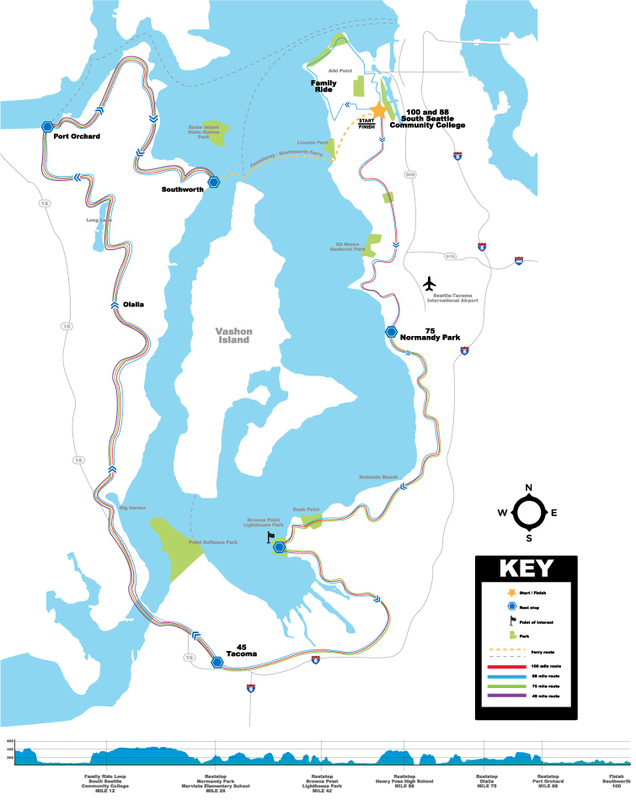 Bicyclists who want to say they’ve pedaled around the Puget Sound will have a new opportunity this year. The American Lung Association is launching the Ride Around the Sound on Sept. 15 as a one-day charity bike ride that ends in West Seattle. The new bike ride is not to be confused with the long-time popular RAPSody (Ride Around Puget Sound), a two-day ride that benefits the Bicycle Alliance of Washington. That’s scheduled for Aug. 25 and 26 this year. How do you ride your bicycle: Transportation? Recreation? Competition? 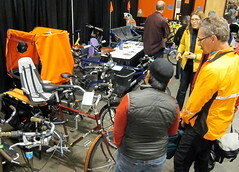 The Cascade Bicycle Club made sure all types of bicycling got plenty of treatment at the 2012 Seattle Bicycle Expo this weekend. Another aspect of two-wheeled fun greeted me on Saturday every time I walked down another aisle at the Smith Cove Cruise Terminal venue or attended another presentation at one of three stages. 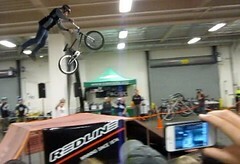 For instance, BMX freestylers flying through the air, above, shared one section of the lower level with a display of nearly a dozen family and cargo bicycles designed more much less radical movement. The Family and Cargo bike group is affiliated with Cascade. You’ll often see them at the Bicycle Sunday events at Seward Park during the summer. British cyclist Brad Wiggins won the Paris-Nicebike race in France on Sunday while American Chris Horner, left, continued to lead the Tirreno-Adriatico in Italy.